Expires in 5d . Last validated 3wk ago . Used 2 times. nelio I am re-activating this expired deal. I will update it and validate that it works. 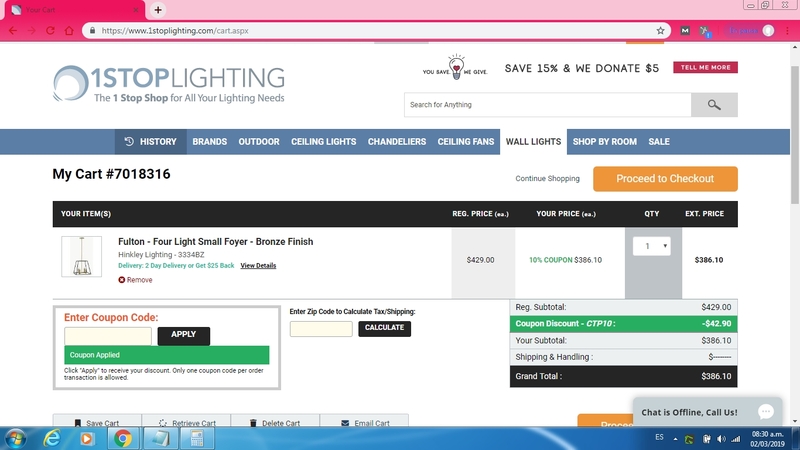 Use code CTP10 to get 10% off any order at 1StopLighting. reinaldo briceno Get 10% off your order. Use the coupon code CTP10 to claim your discount. Exclusions may apply to this offer.